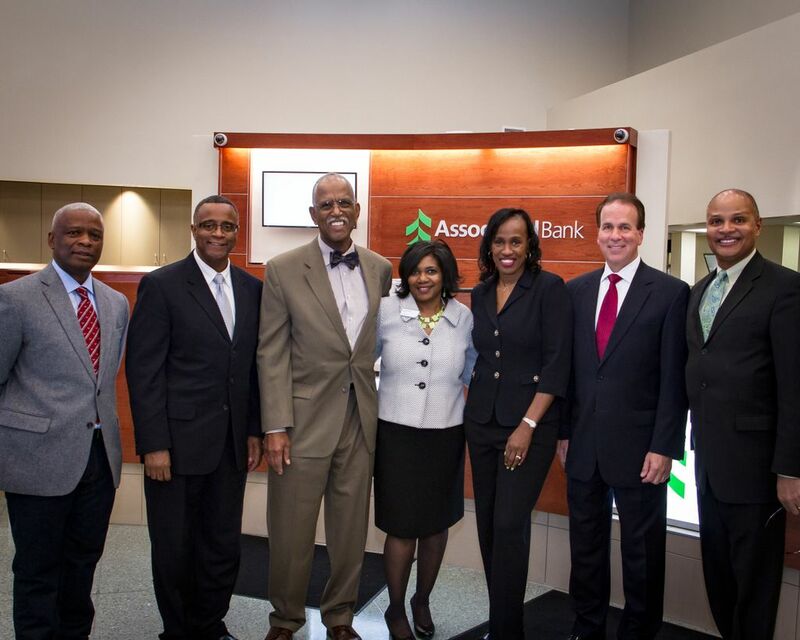 EAST ST. LOUIS, Ill. – February 19, 2015 – Associated Bank today celebrated its continuing commitment to the East St. Louis community with an event marking the completion of a major remodeling of its 326 Missouri Ave. branch. Investment in the branch is estimated at $750,000. Other attendees included Superintendent of East St. Louis Schools Arthur Culver, President of the St. Clair County NAACP Stanley Franklin, 20th Circuit Court Judge Milton Wharton, Executive Director of the Belleville, Illinois Chamber of Commerce John Lengerman, and Executive Assistant to the Mayor of East St. Louis, Diedre Powell. Branch Manager Loretta Holmes introduced her branch team and shared their collective excitement over the project. “Our team has been thrilled watching the transformation of our 6,000- square-foot building into a modern and efficient operation with a welcoming environment for our customers,” Holmes said. The renovation included new flooring and lighting, modern teller lines, accessible offices for special consumer and commercial banking activities, WIFI allowing staff to help customers become familiar with digital banking channels and numerous other upgrades. The refurbished branch includes a new Community Room which can be reserved by local not-for-profit organizations for their meetings. The bank was built in 1958 by then-owner State Savings and Loan. It later became part of First Financial Corporation which merged into Associated Bank in 1997.